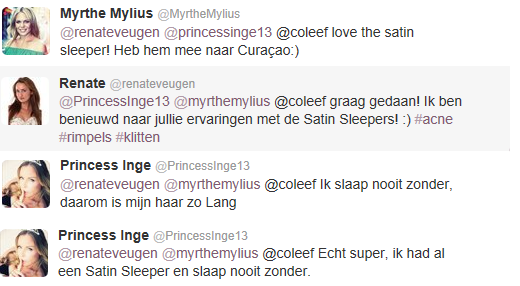 Plenty of Dutch celebrities are already fan of Satin Sleepers, from top models to television presenters and soap stars. The celebrities listed below are enthusiastic users of Satin Sleepers and even shared their positive experiences on Twitter. No wonder we felt obliged to share this Dutch beauty secret with you! 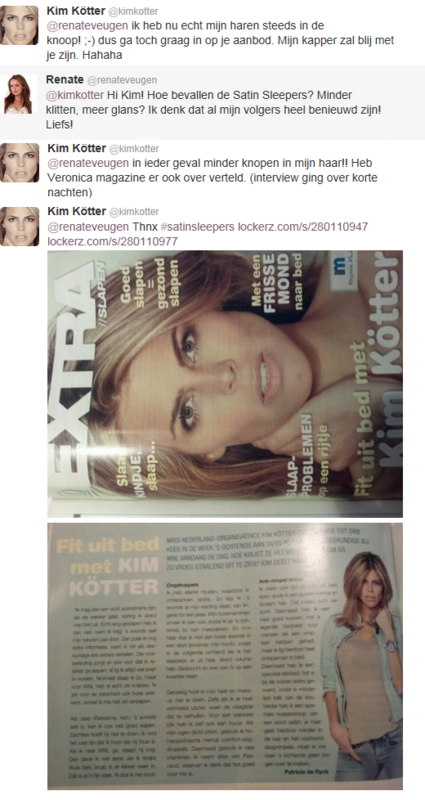 Our beautiful television presenter and model Froukje de Both sleeps very well on the Satin Sleepers. 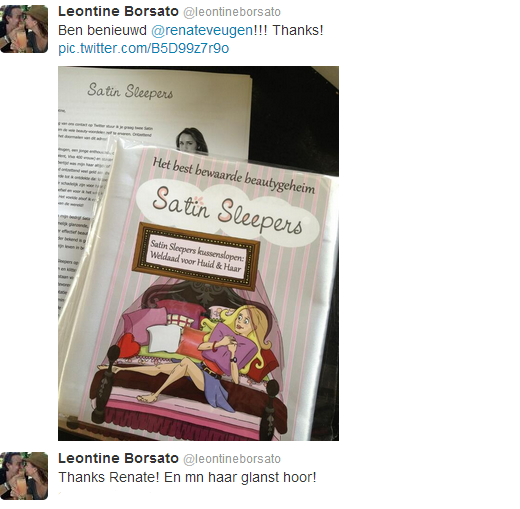 Leontine Borsato, actress and wife of the popular Dutch singer Marco Borsato, tweets how shiny her hair is thanks to the Satin Sleepers! Super star Dewi Pechler, known from the first season of Idols, thinks the Satin Sleepers feel very nice. The world famous lingerie designer Marlies Dekkers sleeps very well on the Satin Sleepers. We love our great Twitter followers! 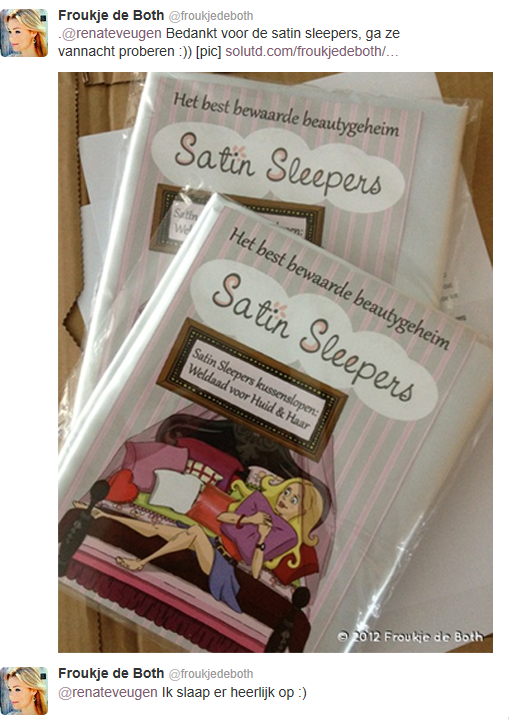 One of our followers and customers recommended Satin Sleepers to Claudia Straatmans, the editor of Fab Magazine. SatinSleepers.co.uk 2019. All Rights Reserved.